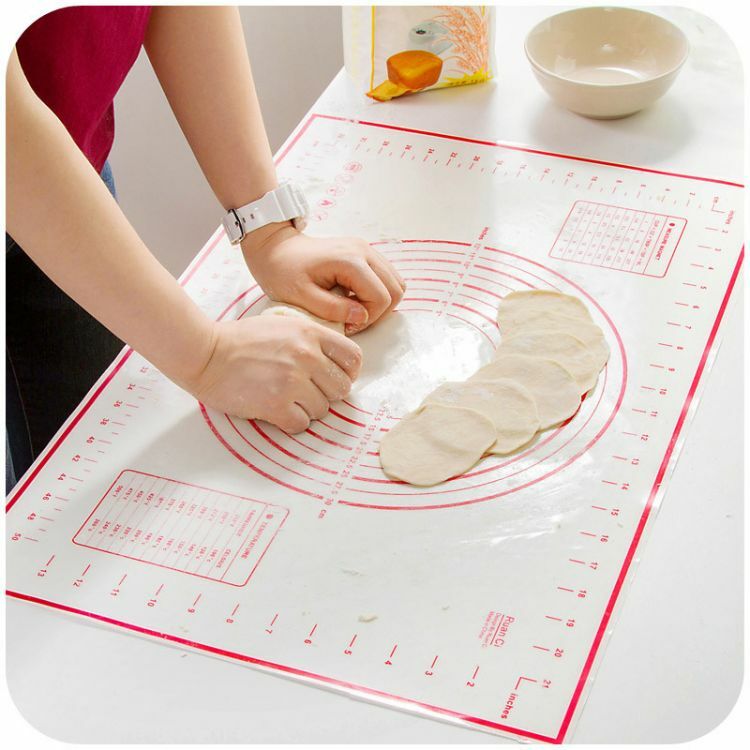 The Bakeware Pro Baking Mat is the only baking mat that enables you to move mixture, cut treats, and considerably more exactly and with no chaos! The silicone surface is intended to be non-stick and doesn't slip on your counter. You can appreciate preparing your most loved recipes easily. No requirement for material or wax paper. Reuse this mat again and again! Baked goods mat with conversion measurements! - If required, easily convert from the metric to imperial and vice versa. Showcases weight, oven, and liquids conversions. Made of high-grade, FDA approved silicon for safe and simple cooking! Freezer safe. Dishwasher safe. Your BEST baking yet!